MaM 3/c George W. Mason, son of Mr. and Mrs. Press Mason, attended school in Davidson. 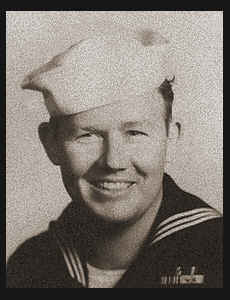 Entered Navy in Nov., 1942, trained in Camp Bradford, Va. and Camp Pendleton, Cal. ; served in New Caledonia, New Hebrides, Guadalcanal, Bougainville, Guam, the Gilberts and Pearl harbon; is now on duty in Camp Parks, Cal. Awarded Good Conduct Medal, Asiatic Pacific Ribbon with two Battle Stars.